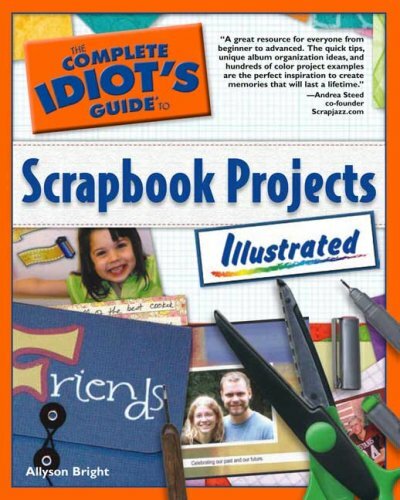 Full-color photographs and easy-to-follow, step-by-step instructions highlight a detailed guide to scrapbooking that furnishes a wide variety of creative ideas and projects based on such themes as school days, vacations, sports, baby's first year, holidays, personal tributes, and more. Original. 20,000 first printing. Allyson Bright is a nationally recognized scrapbook artist. She contributes articles regularly at ScrapJazz.com, one of the industry’s leading websites. She has published layouts in such magazines as Memory Makers and Paperkuts. Her work has also appeared in a major company idea book and was recently featured on PBS television. She teaches regularly at a local scrapbooking store, and is a scrapbooking consultant for Top Line Creations, a new industry leader in direct sales.